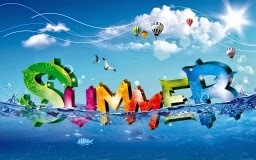 Summer has officially begun and now its time for vacations and fun in the sun. The sun just makes you feel good – if you haven’t become afraid of it. Many of my patients avoid the sun like the plague. These days you hear frequent warnings that sunshine poses serious risks to your health. Among the many alarmist voices are the sunscreen manufacturers. For more than 20 years, the $5 billion-a-year industry has been propagating the supposition that the sun is deadly and we must be protected from it by slathering on chemical compounds. Of course, they conveniently fail to mention that sun exposure is essential for good health; or that common sun lotion contains 5 known carcinogens – two of which are actually activated by the sun – and block your body’s ability to produce essential vitamin D.
And here’s the worst part – There has never been any evidence that sunscreens prevent the most serious kinds of skin cancer. In fact, they can actually increase that risk. The rising risk of cancer is not because we’ve increased sun exposure. With most of us working indoors now, we are exposed to far less sunlight yet certain cancers, especially skin cancers, have dramatically risen. Your diet is more important. We have progressively lowered antioxidant intake. Many antioxidants have been shown to significantly lower your risk of cancer –even skin cancer. I’ll bet there are many more yet to be discovered. A study published in the Journal of the American Academy of Dermatology backs me up on this. They found that regular green tea drinkers were 20 to 30 percent less likely to develop the two most common types of skin cancer: *basal cell carcinoma and squamous cell carcinoma. The study also found that the green tea antioxidant known as EGCG can reduce burning on UV-exposed skin. The protective power of EGCG comes from its ability to prevent and repair the cellular damage caused by overexposure to the sun. Dermatologists usually ignore any evidence that diet and sunlight have a synergistic connection. In fact, they spend most of their time telling you to stay out of the sun altogether. Their prescription – stay out of the sun as much as possible and wear sunscreen when you do venture outside – is not only unnecessary; it’s bad for your health. These findings do NOT mean it’s OK to burn in the sun as long as you have a cup of tea afterward. Sunlight is good for you; sunburns are bad, so use appropriate moderation. All information above has been graciously provided by Al Sears, MD. 1 JR Rees et al. Tea consumption and basal cell and squamous cell skin cancer. Journal of the American Academy of Dermatology, 2007; (56)781-785.